Announced a comprehensive program to enhance service to the native Hawaiian and Filipino communities. The program includes a four-year commitment to provide $150 million in residential mortgage loans for native Hawaiians seeking housing on Department of Hawaiian Home Lands. The Board’s approval is specifically conditioned upon compliance with all of the commitments made by BankAmerica in connection with this application and with the conditions referred to in this order… For purposes of this action, the commitments and conditions relied on in reaching this decision shall be deemed to be conditions imposed in writing by the Board and, as such, may be enforced in proceedings under applicable law. The $150 million loan commitment was to be carried out between July of 1994 and June of 1998. This letter responds to questions presented to us during our conference call on Friday, May 12, 1994. The questions are presented below in bold type, followed by our response. Question 4: Describe any special efforts in Hawaii to lend to Native Hawaiians and Filipinos, including product development, marketing, special staffing, cooperative efforts with specialized community organizations and government agencies, etc. Bank of America Hawaii’s commitment of $150 million to the FHA 247 loan program. See attachment O. [note: attachment O is a press release also dated May 16, 1994 announcing, among other items, “a $150 million residential loan goal by 1998 on Department of Hawaiian Home Lands under the FHA 247 program. N ] FHA 247 is only open to Native Hawaiian beneficiaries of the Hawaiian Home Lands trust. This is the largest commitment ever made to the program in Hawaii. As noted above, the Board incorporated BankAmerica’s four-year $150 million commitment to Hawaiian Home Lands into its order approving acquisition of Liberty Bank. The Board also specifically conditioned its approval upon BankAmerica’s compliance with this commitment. 12 CFR 225.13(d) Conditional approvals. The Board may impose conditions on any approval, including conditions to address competitive, financial, managerial, safety and soundness, convenience and needs, compliance or other concerns, to ensure that approval is consistent with the relevant statutory factors and other provisions of the BHC Act. 12 CFR 225.13(b)(2) Managerial resources. The competence, experience, and integrity of the officers, directors, and principal shareholders of the applicant, its subsidiaries, and the banks and bank holding companies concerned; their record of compliance with laws and regulations; and the record of the applicant and its affiliates of fulfilling any commitments to, and any conditions imposed by, the Board in connection with prior applications. On August 12, 1997, a joint press release was issued by BankAmerica and Ian Chan Hodges of the Hawaii Fair Lending Corporation announcing BofA’s intention to continue its $150 million lending commitment to Hawaiian Home Lands even after the sale of its Hawaii branches to American Savings Bank. Bank of America stated that it will make the loans through its Honolulu-based mortgage unit, Honolulu Mortgage, and Bank of America FSB’s Community Development Division, which will continue to maintain offices in Hawaii. BankAmerica also agreed to provide financial support for homeowner education and pursue opportunities for non-profit intermediaries as development tools for Hawaiian Home Land single-family ownership. As an initial step, BankAmerica will provide a $60,000 grant to Na Po e Kokua, a Maui, a Hawaii-based non-profit corporation to begin implementing a one-year program starting in September. 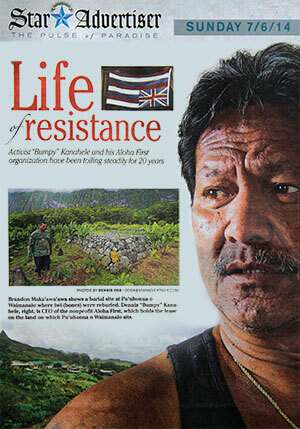 Both the Honolulu Advertiser and the San Francisco Examiner published articles on the subject. In the spring of 1998, BofA agrees to merge with Nationsbank in a deal that will create the largest bank in the nation. 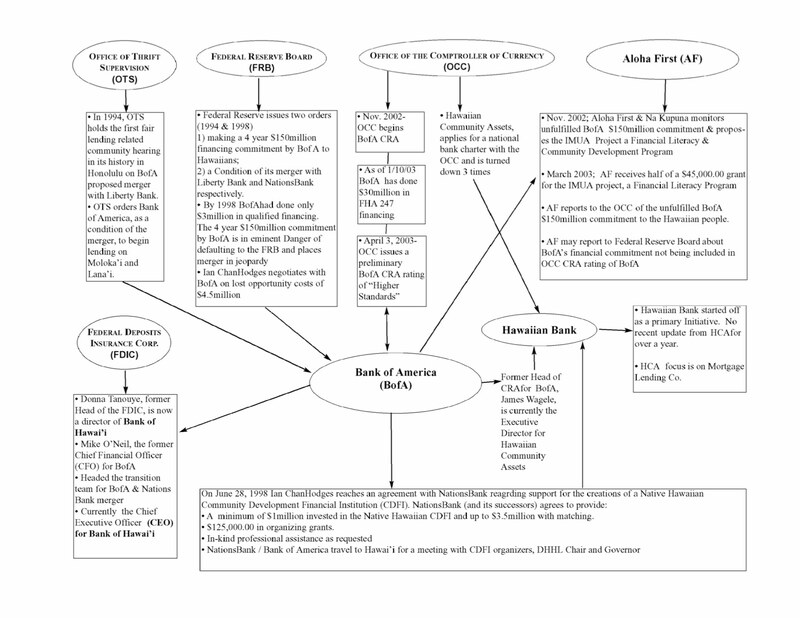 On May 21, 1998, BankAmerica receives a memo from Ian Chan Hodges warning that the bank is in imminent danger of defaulting on its four-year $150 million commitment to the Federal Reserve Board and to the beneficiaries of Hawaiian Home Lands. In order to avoid default, the memo argues that BankAmerica is obligated to pay a late fee of $4.5 million — a sum equal to the opportunity cost of its failure to fulfill its commitment. The memo argues that by investing $4.5 million in a Native Hawaiian CDFI, BankAmerica should be able to avoid immediate default on its $150 million commitment to the Federal Reserve Board. • A minimum of $1 million invested in the Native Hawaiian CDFI and up to $3.5 million with match. • $125,000 in organizing grants. • In-kind professional assistance as requested. • NationsBank / BankAmerica travel to Hawaii for meeting with CDFI organizers, DHHL Chair and Governor. Because of the extensive public interest in the proposal, the Board also held a public meeting on July 9 and 10, 1998, in San Francisco, California, to permit interested persons an opportunity to present oral testimony regarding the various factors that the Board is charged with reviewing under the BHC Act. More than 170 commenters appeared and testified at the public meeting, and many of the commenters who testified also submitted written comments. In total, more than 1,600 organizations and individuals submitted comments on the proposal, either through oral testimony or written comments. Commenters included federal, state, and local government officials, community and non profit organizations, small business owners, customers of NationsBank and BankAmerica, and other interested organizations and individuals from California, North Carolina, Texas, New Mexico, and other regions of the country. Ian Chan Hodges attends the hearings. On August 10, 1998, Cathy Bessant, President of NationsBank Community Development group and two other NationsBank executives arrive in Hawaii for meetings regarding BofA’s commitments to the Hawaiian people. On August 11, 1998, the bankers meet with Hawaiian elders on the Iolani Palace grounds and then meet with Gov. Cayetano where the reiterate BofA’s commitments in person ($150 million in loans & support for the Hawaiian CDFI). The meeting with the Governor is followed by a dinner at the home of DHHL Chairman Kali Watson. BankAmerica again reaffirms its native Hawaiian commitments to Chairman Watson. IN CONNECTION WITH THIS PROPOSAL, NATIONSBANK HAS ANNOUNCED A $350 BILLION, 10-YEAR COMMUNITY REINVESTMENT AND LENDING PLAN. NATIONSBANK ALSO HAS ST A TED THA T NEW BANKAMERICA WOULD HONOR ALL OF THE OUTSTANDING CRA COMMITMENTS THAT NATIONSBANK AND BANKAMERICA HAVE WITH STATES AND COMMUNITY GROUPS, INCLUDING BANKAMERICA’S COMMITMENT TO PROVIDE $40 MILLION IN ANNUAL CHARITABLE CONTRIBUTIONS AND TO PROVIDE $150 MILLION IN LOANS IN HAWAII. In fact, BankAmerica’s $150 million commitment to native Hawaiian’s is the only specific “CRA- related” commitment mentioned in the entire Federal Reserve order. None of the nearly one thousand other organizations and individuals who submitted comments on the proposed merger were given any specific and enforceable commitments by NationsBank or BankAmerica. Governors of the Federal Reserve and committed to originating $150 million in mortgage loans on Hawaiian Home Lands over four years. BankAmerica is now in imminent danger of defaulting on this commitment to the Board and to the beneficiaries of Hawaiian Home Lands. In order to avoid default, I believe that BankAmerica is obligated to pay a late fee equal to the opportunity cost of its failure to fulfill nearly 98 percent of its commitment. Before determining the amount of the late fee, I want to first point out an important characteristic of BankAmerica’s commitment to Hawaiian Home Lands. While most CRA-related loan pledges are made to abstract demographic categories, BankAmerica’s Hawaiian Home Lands commitment was made to the Board regarding a specific class of people with individually identifiable persons. The Department of Hawaiian Home Lands maintains a database of each of its individual beneficiaries. These Native Hawaiian individuals would have been the direct beneficiaries of BankAmerica’s $150 million commitment and they have been adversely affected by the bank’s failure to fulfill it. BankAmerica’s $150 million commitment to Hawaiian Home Lands is very specific and BankAmerica is accountable to the Board. 1. Each mortgage was originated for $100,000. 2. Half the mortgages were for 15 years and half were for 30 years (average term 22.5 years). 3. The mortgage rate throughout was 7.5 percent (a weighted average of monthly mortgage rates). 4. A steadily increasing number of mortgages was originated between July 1994 and June 1998. 5. The value of the underlying housing remained constant. 6. The increase in home equity is simply based on the amount of mortgage principal paid down. In Worksheet 1 the opportunity cost is calculated by assuming that BankAmerica could have originated a steadily increasing number of mortgages on Hawaiian Home Lands each month; starting in July 1994 with three mortgages and ending in May 1998 with fifty mortgages. 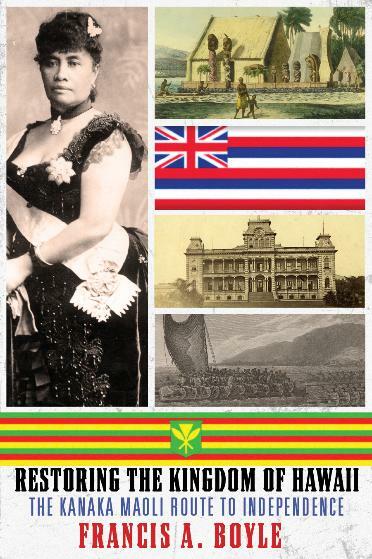 Over 48 months this would have amounted to 1,468 mortgages at an average interest rate of 7.5% – for a total of $146.8 million in mortgages originated on Hawaiian Home Lands. The 3 Homesteaders borrowing in July of 1994 would have accumulated $7,963 each in home equity to date, while the average Homesteader borrowing during the commitment period would have accumulated $3,069 in equity. As of June 1998,1,468 Hawaiian homesteaders would have accumulated a total of $4.5 million in home equity. By June of 2002, these 1,468 homesteaders would have accumulated $17.8 million in equity (see Worksheet 2). There are other methods of calculating the value of the lost opportunity to accrue equity which result in a much larger dollar figure. For instance, when the opportunity cost is recalculated with the assumption that BankAmerica originated 400 mortgages a year, averaging $125,000, over three years – BankAmerica’s original goal as stated to the media – the opportunity cost jumps some 150 percent to $6.9 million. The calculations in Worksheet 1 are based on assumptions that give BankAmerica a good deal of leeway. The current figure of $4.5 million in opportunity costs is quite reasonable. The underlying assumptions grant BankAmerica the benefit-of-the-doubt by allowing for a generous period of time to get the loan program up and running. The $4.5 million figure also does not take into account other opportunity costs such as mortgage interest deductions, access to home equity loans or the potential for appreciation in the value of the house. Losing the chance to accrue home equity is a serious matter. As you know, for the majority of American families, the opportunity to accumulate home equity has historically been the primary means of obtaining financial security and building family wealth. This is the opportunity that more than fourteen hundred native beneficiaries of Hawaiian Home Lands have been denied as a result of BankAmericas delinquency in fulfilling its $150 million commitment. Beyond the obvious benefits of shelter and safety, homeownership offers significant wealth-building advantages. In fact, half of all homeowners in 1995 held at least half of their net wealth in home equity. Note that growth in home equity is not a rate of return on the home purchase; it is simply the savings a household accumulates from paying down the mortgage principal and from house price appreciation. Home equity makes up a larger share of wealth holdings for lower-income than for higher-income owners. Among households with incomes under $20,000, half held 71.9 percent or more of their wealth in home equity in 1995. In contrast, home equity accounted for less than 34.5 percent of wealth holdings for half of the households with incomes of $50,000 or more. Given the importance of home equity to net wealth, the difference between the wealth holdings of owners and renters is not surprising. In 1995, homeowners had a median net wealth of $102,170, compared with just $4,750 for renters. Even for households with similar incomes, the disparity is still considerable. For example, renters with annual incomes of $50,000 or more in 1995 had a median net wealth of $50,700. For homeowners with similarly high incomes, median home equity alone was $62,600, while median net wealth totaled $180,840. The Harvard study highlights the significance of home equity to wealth building for the American family. If BankAmerica had followed through on its 1994 commitment to the Federal Reserve Board, more than fourteen hundred Native Hawaiian families could have initiated this process of building home equity – thereby increasing their family wealth and financial security. These families now need to be compensated for their loss of opportunity. However BankAmerica chooses to move forward with its $150 million commitment, Hawaiian Home Lands beneficiaries need to be recompensed now for the opportunity cost of BankAmerica’s delinquency thus far. If BankAmerica decides in the future to pull out of Hawaii completely and is unable to continue its commitment, a buyout of this commitment will need to be funded as well. Currently, BankAmerica is obligated to provide compensation of at least $4.5 million in a manner that best ensures future opportunities for Native Hawaiians on Hawaiian Home Lands. I believe the consensus within the Hawaiian community is that the best use of this compensatory fund would be the capitalization of a Native Hawaiian Community Development Financial Institution. Effective financing of livable communities on Hawaiian Home Lands requires more than simply providing access to conventional loans. It requires the flexibility to adapt lending guidelines to the needs of borrowers; to accept unconventional collateral for loans; and to provide education, training, and assistance to potential borrowers. As you know, Community Development Financial Institutions (CDFIs) are private-sector financial intermediaries that have a primary mission of community development and seek to make loans and investments that conventional financial institutions would consider unbankable. The establishment of a Native Hawaiian CDFI would support the ongoing efforts of the Department of Hawaiian Home Lands to finance housing and would greatly help to secure opportunities for Native Hawaiians to build livable communities on Hawaiian Home Lands. I believe that by investing $4.5 million in a Native Hawaiian CDFI, BankAmerica should be able to avoid defaulting on its $150 million commitment to the Federal Reserve Board. The four federal financial supervisory agencies have issued a number of interpretive letters recently that establish a framework and criteria by which a regulated financial institution can provide capital to a CDFI. I plan to provide more information in the future regarding how this framework would relate to BankAmerica’s capitalization of the Native Hawaiian CDFI. In the meantime, you may want to read over OCC Interpretive Letters 673, 709 (revised), 714, 727 and 784. I look forward to discussing this matter with you. Since 1998, Bank of America has repeatedly reaffirmed its commitment to providing $150 million in financing for Hawaiian communities. Since the deadline for its original commitment was missed in 1998, BofA has also repeatedly indicated its desire to broaden the scope of the commitment in order to help narrow the timeframe in which it is completed.